Taking place between January 26-29, the International Master Course on Aging Science (IMCAS) lived up to its daily paper’s tagline of ‘a lot can happen in four days’. 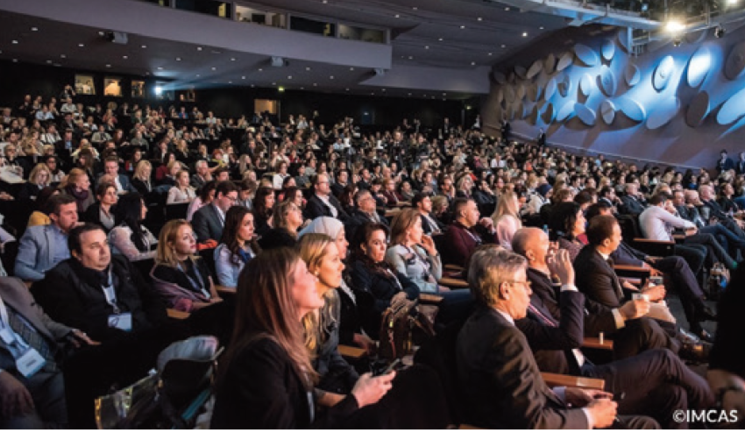 For the 19th year, the varied and diverse educational congress welcomed attendees from around the world at the Palais Des Congrès in Paris, with more than 7,000 delegates in attendance. 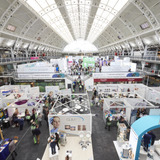 The exhibition, which was split between two floors, comprised 200 aesthetic manufacturers, distributors and suppliers, all displaying and demonstrating their latest products and treatment protocols. 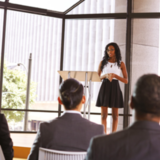 The educational agenda took place in eight different rooms, delivering presentations on a different topic each day, including injectables, clinical dermatology, lasers, genital treatments, cosmeceuticals and regenerative medicine. The agenda included 140 scientific sessions, 250 learning hours and 520 expert speakers. Managing and utilising social media was a big focus on the practice management module, which took place on the opening day of IMCAS. Lectures in the session ‘Managing your online communication: social media and website’ proved to be popular, with talks by UK aesthetic physician Dr Ravi Jain, US aesthetic business consultant Wendy Lewis and UK consultant plastic surgeon Mr Olivier Branford; an avid user of social media with more than 125,000 Twitter followers. Mr Branford stressed the importance of sharing high quality content and emphasised the power of social media, giving advice on blogging and writing articles and how to publicise these through this medium. Friday was another busy day at the congress, with many delegates opting to watch presentations on the cosmeceutical agenda. In the morning, a talk on ‘Genetic secrets to youthful looks revealed’ by industry representative David Gunn discussed interesting research from the British Journal of Dermatology, which suggested that although smoking can age the skin by two years, sun damage can age it by four years. In the afternoon, the impact of prebiotics and probiotics on skin health was examined by dermatologist Dr Stefanie Williams, followed by Dr Marita Kosmadaki from Greece who looked at the use of cosmeceuticals on skin ageing. Dr Kosmadaki posed the question to the audience, ‘Can what we eat affect the way our skin looks?’. She discussed the results of a recent study on the severity of wrinkles, which suggested dairy, sugar and meat have a negative influence on skin resulting in more wrinkles. The section was concluded by Canadian dermatologist Dr Sahar Foad Ghannam who spoke about the use of certain foods for photo-protection, which was followed by questions from the audience. One question posed by a delegate, on whether SPF affects the amount of vitamin D absorbed through the skin, brought about much debate from the panel, who had differing views. Dr Foad Ghannam stated there was no direct correlation between vitamin D deficiency and the use of sun protection, whereas Dr Williams disagreed, explaining she had read studies that indicated otherwise. 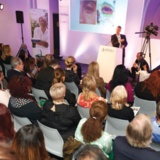 The sponsored symposiums, including talks hosted by IBSA Farmaceutici Italia, Allergan and Teoxane Laboratories, proved very popular with delegates. In the Merz Aesthetics symposium, Dr Simon Ravichandran provided a live demonstration on jaw contouring using hyaluronic acid dermal filler on a male patients in his 50s, and in the Galderma symposium, facial plastic surgeons from the US Professor Jonathon Sykes and Dr Frank Rosengaus performed a live injectable treatment of the mid-face, which was well-received by the audience as 3D imaging was used, enabling delegates to wear 3D glasses to be able to get an in-depth look at the anatomy. Saturday morning began with a court-room style presentation on hand rejuvenation and a debate on whether using just hyaluronic acid is enough; US dermatologist Dr Rhoda Narins acted as the ‘judge’, with ‘cases’ for and against presented by different speakers. Each presented compelling evidence for their respective technique but in the end the judge’s summary sided with the use of multimodal treatments. During the weekend, facial treatments for men and women were presented and chaired by many UK practitioners, including Dr Raj Acquilla, Mrs Sabrina Shah-Desai and Mr Dalvi Humzah. Mr Humzah spoke on cannula versus needle for oval injection in one session, with evidence presented suggesting that cannula is safer when injecting the face. Following this Dr Peter Peng from Taiwan spoke on ‘Recognising and preventing the side effects of neurotoxin injections on the masseter’. He presented a comprehensive review of the potential complications of botulinum toxin in treating the masseter, a topic that, according to Dr Peng, hasn’t been widely discussed.